Situated in Insula IV, cardo V, the House of the Stags is a high status Roman Villa in the Roman seaside town of Herculaneum. 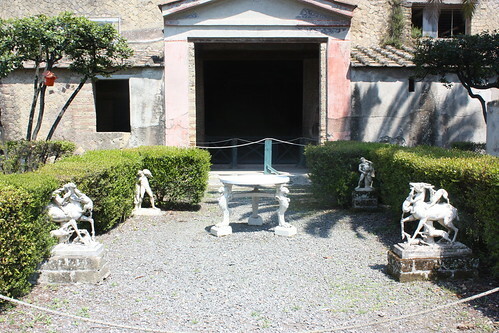 Named after the marble statues found in its peristyle garden, it was extensively remodelled before the eruption of Vesuvius in 79 AD. Its layout was designed to make its spectacular sea views as much a feature of the house as its architecture.